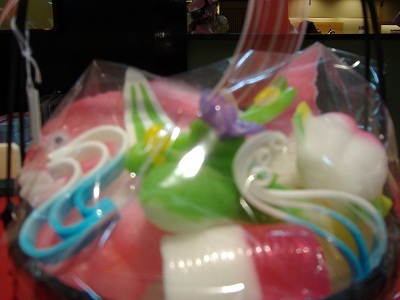 Kinkato, local peculia sweets have been made since the mid-Edo period. 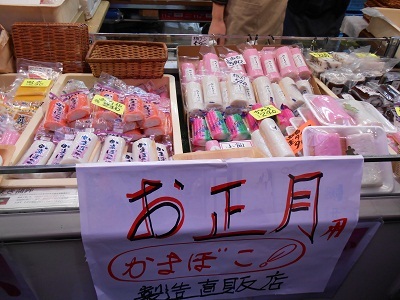 They are local sweets offering for Hina Dolls in Kanazawa. How to make Kinkato is as follows. You boil sugar to melt and pour it into a wooden mold, then solidify it in the process of cooling down and color it. 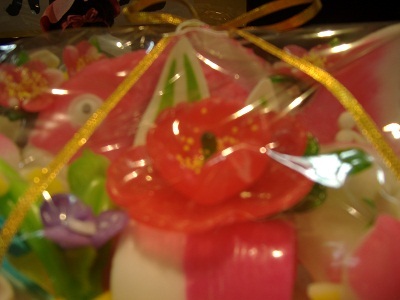 Cherry trees are mainly used to make wooden molds. A craftsman to cave a mold is scarce. 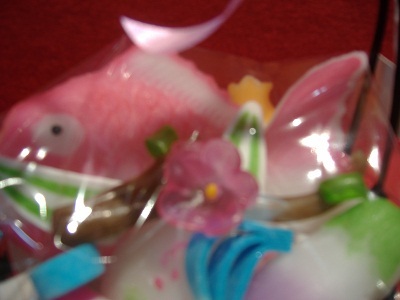 So, these days sweetshops in Kanazawa order a mold to wood panel crafsman in Inami, Toyama Prefecture. 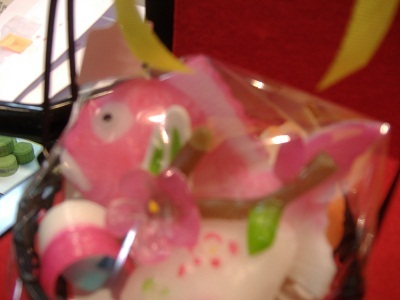 Shapes are a seabream, a shrimp, a cucumber, a bamboo shoot, fruits, flowers of camellia and Japanese apricot, Seven Deities of Good Fortune and so on. Kaga-bocha is different from ordinary green tea. 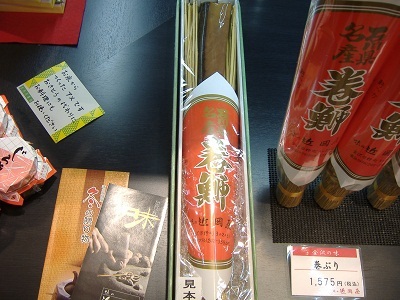 It is a roasted brown tea made from stems of tea plant. 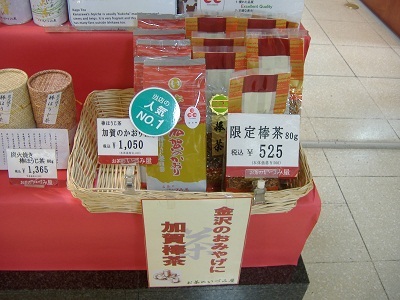 Kaga-bocha is locally made tea, which has excellent fragrance. How to make tea for 5 to 6 people is as follows. Firstly, you put about 10-gramme of roasted stem tea into a small teapot and pour hot water into it. You wait for about 1 minute and pour the tea into each of the teacups. When you drink it cool especially in summer, you boil 2- liter of water. Then you put 20-gramme of Bocha into a kettle. You wait for about 15 minutes to cool down after taking out tea stems inside the teapot. 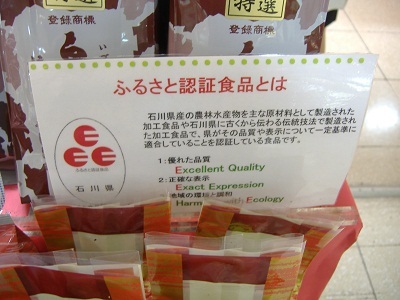 3E is an acronym of excellent quality, exact expression and harmony with ecology. 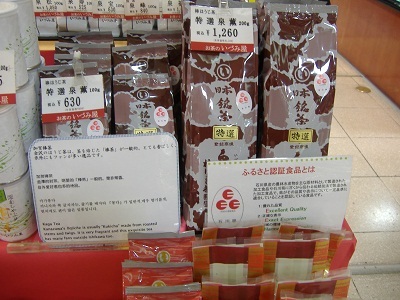 3E foods are locally produced processed foods, which are certified by Prefectural Government as foods that meet a certain standard of the quality and the expression. 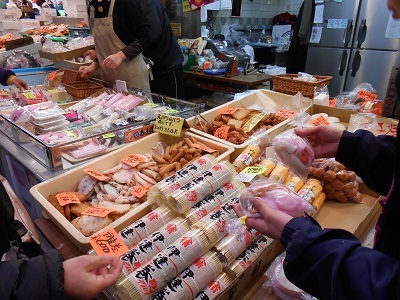 These processed foods must be made from agriculture, forest or marine products originally produced in Ishikawa Prefecture as main raw materials, or they must be made by using traditional skills inherited in Ishikawa Prefecture from the past. 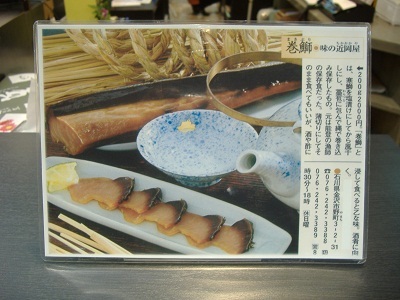 Maki-buri, yellowtail rolled with straw ropes is a preserved food. 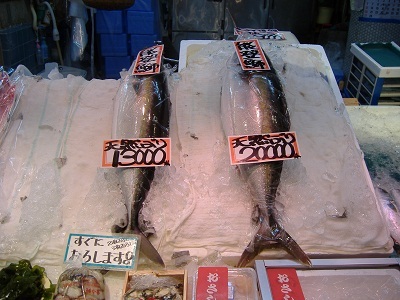 A yellowtail is salted, and then dried in air to make it a preserved food. 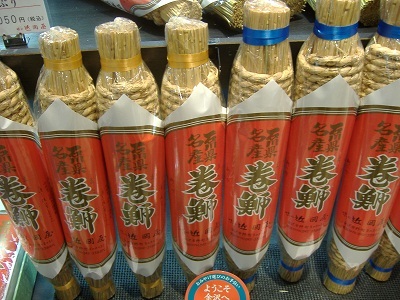 Dried yellowtail is wrapped in a straw package and rolled with straw ropes. 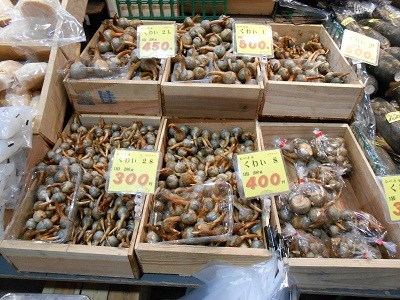 Originally it was a preserved food for fishermen in Noto Peninsular. 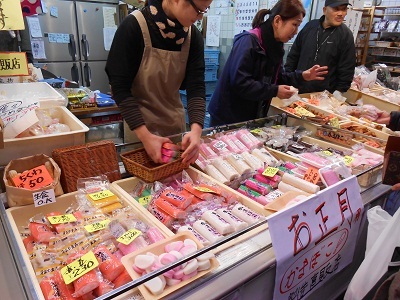 You can eat it by slicing it, or you can enjoy an excellent taste by dipping it in sake or vinegar. It goes well with sake. Fillets of Maki-buri, salted and dried yellowtail. 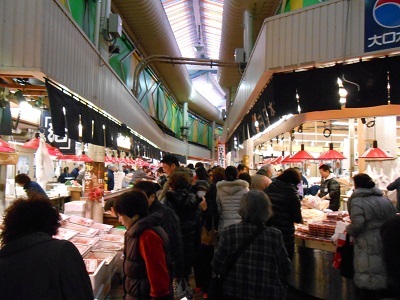 Omicho Market is a kitchen for people in kanazawa. 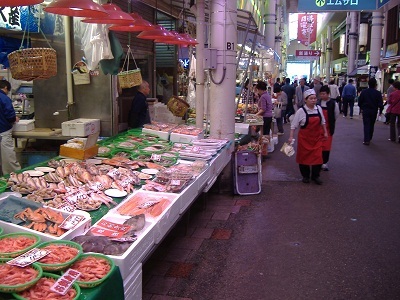 20 thousand customers including tourists visit the market daily. Yellowtails landed on a local fishing port in Noto Peninsular. Yellowtail in winter called Kan-buri. 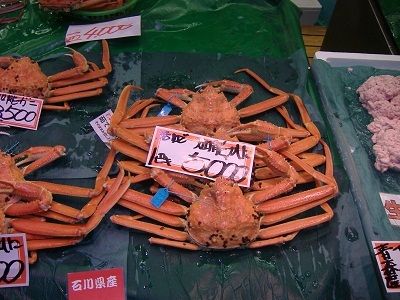 Crabs boiled in the morning on sale. 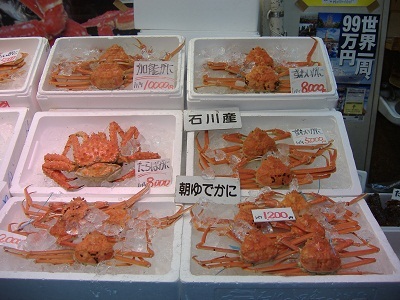 The blue tags attached on crabs prove that the crabs are landed on fishing ports in Ishikawa Prefecture. 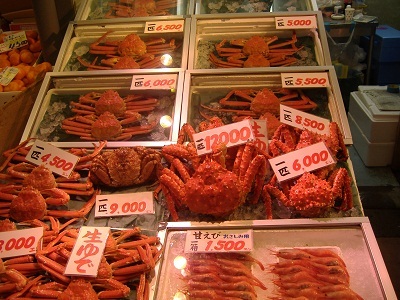 Crabs and shrimps are on sale. 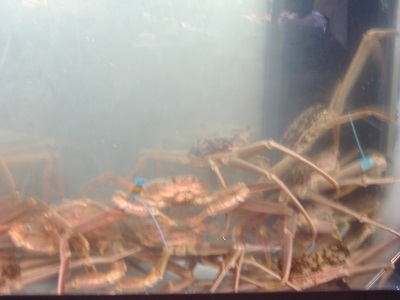 Crabs in water tank are on sale alive.